You’re right that your goal should be able to accumulate enough income from Social Security, withdrawals from savings and any other resources you might have (a pension, home equity, other assets) to cover your actual expenses in retirement, not necessarily to replace a certain percentage of what you earned before you retired. Problem is, when retirement is many decades away, it’s hard to know with any sort of precision what those future expenses will be. So most people rely on an estimate of how much income they’ll need to cover their retirement costs. Typically, most people estimate—or guesstimate, if you prefer—that they’ll need somewhere between 70% and 90% of their pre-retirement income in order to have a reasonable shot at a secure retirement. Those percentages don’t come out of thin air. They’re mostly based on the “replacement ratio” research performed starting back in the 1980s by Georgia State University and consulting firm Aon. Essentially researchers attempted to calculate for people with various annual incomes how much of their pre-retirement salary they would need in retirement to maintain the same standard of living they enjoyed during their career. The basic idea is that since you won’t be stashing away money in 401(k)s and other retirement accounts and because your tax bill is likely to drop, you’ll be able to get by on less income after you retire than you required during your working years. If you’d like to delve into the assumptions and calculations behind replacement ratios, this 2008 replacement ratio study lays it all out in detail. Of course, no estimate, no matter how carefully derived, will be 100% accurate, nor will it ever apply to every individual situation. If you saved like a demon during your career, you may be able to get by on substantially less than you earned during your working years, since a large part of your income went not to supporting your lifestyle, but funding your savings accounts. If, on the other hand, you plan to live large in retirement, you may need more than 90% of your pre-retirement income to afford the lifestyle you prefer. Clearly, replacement ratios aren’t an exact science; choosing the percentage that’s right for you involves a bit of subjective judgment based on your experience and expectations. Still, if you’re planning for a retirement that is a decade or more away, I think that setting a target replacement rate—whether it’s 70%, 80%, 90% or some other figure—is a reasonable approach for estimating how much you need to save each year for retirement and to gauge whether you’re on track. 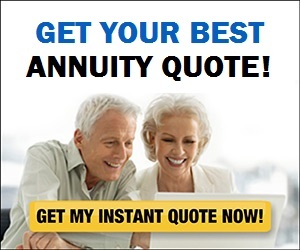 Indeed, many retirement calculators, including one I often recommend—T. Rowe Price’s Retirement Income Calculator—rely on this approach. But when you get into the home stretch to retirement—say, within 10 years or so of calling it a career—you’ll want to get a more detailed and accurate assessment of what your actual retirement expenses will be. And the best way to do that is to create an actual retirement budget. You can do that a number of ways, but I think you’ll find it most convenient to use one of the free online budgeting tools. For example, BlackRock’s Retirement Expense Worksheet lists more than four dozen separate outlays, including ongoing living expenses (mortgage/rent, home maintenance, transportation, food, clothing, health insurance, etc.) as well as discretionary items (entertainment, travel, charitable donations, hobbies, etc.). Even as you draw closer to retirement, however, you’ll still be dealing in estimates. Without a crystal ball you can’t foresee exactly how your expenses might change or what unanticipated expenditures or emergencies might pop up. But the closer you get to your planned retirement date, the better the sense you should have of what your actual spending needs will be. Plus you can refine your budget as you go along. And in fact, if you take the time to put a little thought into how you plan to live after you retire—an exercise I call “retirement lifestyle planning“—you should be able to come up with a fairly decent estimate of the expenses you’ll incur and how much income you need to live the post-career life you envision. 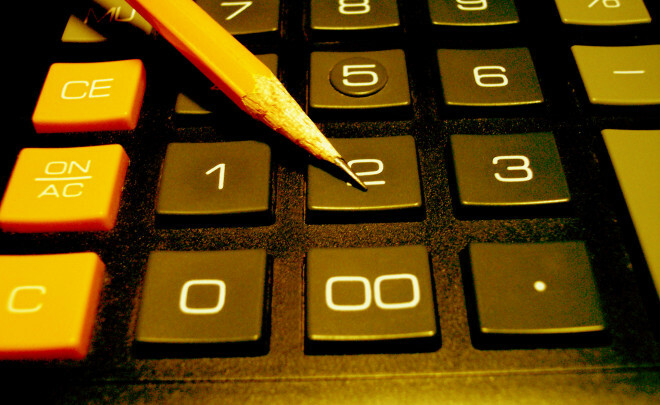 Once you’ve arrived at an estimate you feel comfortable with, you can then plug that figure into a retirement calculator instead of inserting a percentage of your pre-retirement income. By going through this process every year or so—i.e., updating your retirement spending estimate, your nest egg’s balance, expected retirement date and projected Social Security benefit—you can get a sense of whether you’re on track to retire or whether you need to make some adjustments. All of which is to say that, as a practical matter, I think most people have no choice but to base their retirement planning on some target replacement ratio, usually between 70% and 90% of their pre-retirement income. But once you’re within shouting distance of retirement, it makes sense to switch to estimating the actual expenses you’re likely to incur. Walter Updegrave is the editor of RealDealRetirement.com. If you have a question on retirement or investing that you would like Walter to answer online, send it to walter@realdealretirement.com. Follow Walter on Twitter at @RealDealRetire.